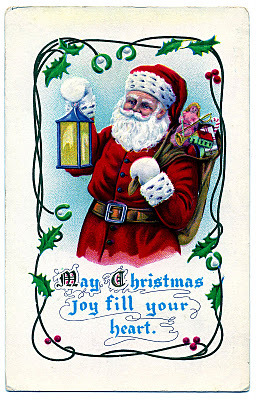 Here’s another nice antique Santa Postcard! This one shows Santa with a bright Lantern! He’s framed with some vines and Holly. Oh, I just love him! Thanks so much for all your wonderful graphics!! What a wonderful Santa, Karen! Thanks for sharing him! 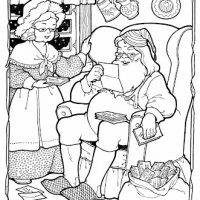 I just found your blog through Janette’s Sage and my, oh, my! You and I are kindred spirits! I’m so excited to start following your blog! Linda, I’m so glad your here! Welcome!